This is me…I like Bonded! Whisky: an alcoholic distillate from a fermented mash of grain produced at less than 190 proof in such a manner that the distillate possesses the taste, aroma, and characteristics generally attributed to whisky, stored in oak containers (except that corn whisky need not be so stored), and bottled at not less than 80 proof, and also includes of mixtures of such distillates for which no specific standards of identity are prescribed. Which is translated in real world talk; whisky can be made from any grain, anywhere in the world, distilled up to 190 proof (this sounds like vodka at this point) and that it looks, smells, and tastes like whiskey and aged in oak (this is where it becomes defined as whisky and not vodka) and you can add caramel color, sugars and other things to it to get it to look, smell, and taste like whiskey, and bottled no less than 80 proof. Bourbon whisky, rye whisky, wheat whisky, malt whisky, rye malt whisky, is whisky produced at not exceeding 160 proof from a fermented mash of not less than 51% corn, rye, wheat, malted barley, or malted rye grain respectively, and stored at not more than 125 proof in charred new oak containers; and also includes mixtures of the same type. Which translates to whisky produced at least 51% of the specified grain for type of whisky (Bourbon 51% corn, rye 51%, wheat, and so on) distilled under 160 proof, and stored in a brand new charred oak barrel at less than 125 proof, and you can’t add anything but water, or other bourbon to it. Corn whisky is produced at not exceeding 160 proof from a fermented mash of not less than 80% corn, and if stored in oak containers stored at no more than 125 proof in used, or uncharred new oak containers and not subjected to any manner to treatment with charred wood; and also includes mixtures of such whisky. To be labeled as “Bottled-in-Bond” or “Bonded,” the spirit must be the product of one distillation season and one distiller at one distillery. It must have been stored (i.e., aged) in a federally bonded warehouse under U.S. government supervision for at least four years and bottled at 100 proof (50% alcohol by volume). The bottled product’s label must identify the distillery (by DSP number) where it was distilled and, if different, where it was bottled. So Bottled in Bond is the most restricted of the most restricted whiskies! Can you now see why we all get excited when we see Bonded bourbons? There’s only 16, so I’ll list them here, and some of them are only available here in Kentucky, so next time you’re visiting the Bourbon Trail you’ll have to stop by one of the package stores listed here on my website and pick them up. The Only Bonded Straight Corn Whiskey out there. Corn whiskey must be aged in used charred or new uncharred barrels. This is aged in used charred barrels from Heaven Hill. Back in the early 1800’s this is what was being drank here in Kentucky as whiskey. High % of corn and aged in used pickle barrels or other barrels with meats and fish, that were used barrels and charred. This Mellow Corn is as close as you’re gonna get in drinking history and drink what they drank in the early 1800’s before they started charring barrels that were not used! History in a glass here. Not as deep and complex as bourbon, and a great grainy/corny flavor. Certainly unique because it is indeed one of a kind, and Bottled In Bond! 4 year old Heaven Hill, but Bottled in Bond from Craig and Parker Beam! Heaven Hill is the largest family owned and operated distillery in the United States, and is the second largest seller of bourbon (behind Jim Beam) and owns the largest stocks of bourbon barrels over 10 years old in the world! Makers of Evan Williams, Elijah Craig, Larceny, and Parker’s Heritage Collection, they are one of the most respected and award winning distilleries around! They offer a 4 year old Gold Label and White Label 6 year old. This was one of Booker Noe’s favorite bourbons, and a great one that’s 4 years old, and 100 proof. Great retro label that’s been untouched by marketing departments, and just a great tasting delightful bourbon! Evan Williams was the first licensed distillery in Kentucky in 1783, and now Evan Williams is the #2 selling bourbon in the world, and this is the bonded version. Only available in a couple markets, but it’s about 5 year old. John Thompson Street Brown opened his distillery in 1855, fifteen years before his half brother Geo. Garvin Brown started Old Forrester. If you’re a fan of classic movies you’ll recall this is the brand that Fast Eddie Felson (Paul Newman) drank when he played Minnesota Fats in “The Hustler”. From J. W. Dant distillery opened in 1836. Joseph Washington Dant was born in Marion County Kentucky in 1820 and became a blacksmith, but had developed a taste for and a love for bourbon at the age of 16. So he opened his distillery then and there and J. W. (as folks called him) used the log still method instead of using copper stills. This was old school even for then, and he was known for this style. He fathered 10 children and two of them followed him in to the distilling business, and it was his son George Washington Dant led the distillery in to the 1900’s. The brand was purchased by Heaven Hill after prohibition, and so this great old brand still survives today. This is the bourbon that dates back to 1844 when T.W. Samuels opened his distillery in Deatsville, KY. Known for it’s unique stair step designed rack houses, giving a greater chimney effect forcing more heat to the top floors. T.W. Samuels Grandson went on to start a little bourbon called Maker’s Mark. But this is a rye bourbon from way back in the day. Another of the “high rye” bourbons. (again, I define high rye bourbons as 18% or more of rye in the recipe in a bourbon) Nice and spicy, and the master distiller there is a buddy of mine, and he assures me he picks out some damn nice 6 year old barrels for VOB Bonded. Old Fitzgerald Distillery started up in 1870. John E. Fitzgerald was not a distiller, but a treasury agent at the old W.L. Weller distillery, and he was known have good taste. He also had the keys to the rack house, and would help himself to the best tasting of the wheated W.L. Weller barrels, and those special barrels became known simply as “Fitzgerald Barrels”. The legend was so strong they started their own distillery in 1870 and later the brand was acquired by the famed Pappy Van Winkle at Stizel-Weller Distillery and made it one of the most popular bourbons in the 1950’s and 60’s. Still wheated today but out of Heaven Hill by Craig and Parker Beam. Old Tub was the flagship brand of what became the Jim Beam Distillery, but it was called the Old Tub Distillery up until recent memory, and Old Tub is now available at the Jim Beam Outpost, visitors experience only in Clermont, KY. The flagship brand of this company is still bottled in bond in a couple foreign countries…too bad not in the US, but if ya write them enough, maybe they’ll bring it back here too! This is longest aged of any of the Bonded bourbons out there at 10 years, and an age statement to boot, so it’s not a mingle of bourbons, it’s 10 years old and a single barrel. This is hands down one of the best bourbons on the market, and the fact it’s B.I.B. makes it even that much more special. Henry McKenna opened his distillery in KY in1855 and Heaven Hill honors him with a single barrel version, 10 full years old, and B.I.B. I’m sure Ole Henry is proud as he’s up there drinking with angels while his bourbon rests. Col Edmund Taylor was the force behind getting the Bottled In Bond Act passed in 1897, and is one of my all time bourbon hero’s, and was the nephew of President Zachary Taylor. 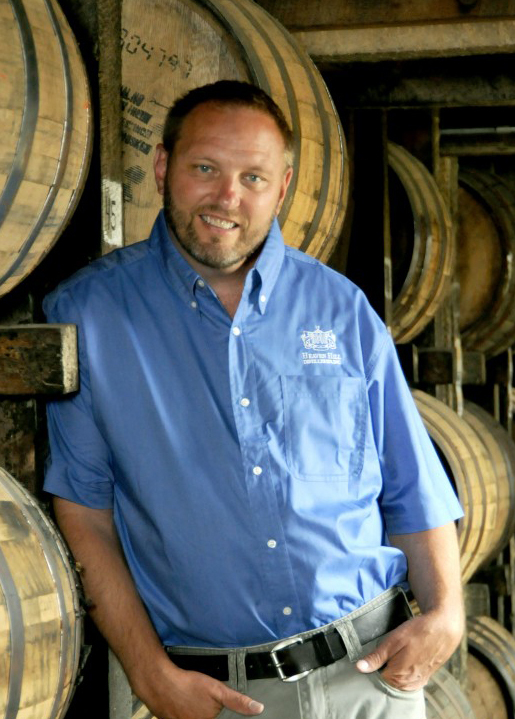 Buffalo Trace has honored him with this Single Barrel Bourbon B.I.B. They chose to make their Bonded offerings very limited with more age (although not stated) and around $75. The most expensive of the B.I.B. but worth it, but I’d sure not look down at ANY of the bondeds because of price…they’re all the same great quality! One of the brands from the historic Stitzel-Weller distillery, Luxco owns this brand and a non BIB brand from Stitzel-Weller called Rebel Yell. 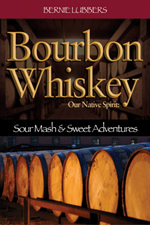 Both are wheated bourbons and 1843 is the Bottled in Bond version! Pennsylvania was the region known for rye whisky back in the 1800’s and this is one of the most respected ryes around. Winner of many gold medals, and one of the most coveted ryes on the back bar in places like Sable and Violet Hour in Chicago and mixology bars around the world. William Heavenhill – Only available at the Heaven Hill Bourbon Heritage Center in Bardstown, KY, this is a 9 year flavor profile and around $130 a bottle, but I bought one and it’s damn worth it! I am a Japanese. I like Bourbon and rye whiskey better than Scotch. I haven’t sipped the American malt whiskey, wheat whiskey, nor malt rye whiskey yet, because I cannot get them in Japan. The Bourbon whiskey I sipped for the first time for my life was Beam’s Choice Black Label more than thirty years ago. Since then, when I try to buy a bottle of the Bourbon whiskey, my first choice is any of Beam’s. The Federal regulation for the Bourbon whiskey defines that the Bourbon whiskey shall be produced of at least 51% corn while the Corn whiskey shall be produced of more than 80% corn. My first question is are there any distillers who produce the Bourbon whiskey of more than 80% corn? I think you in the American distillers use malted barley for converting corn into the fermentable substrate. My second question is are there any distillers who use malted rye for converting corn into fermentable substrate? My last question is what you mean by “Corn flavor becomes neutral in new charred barrels” in the above texts. I think the flavor of the Bourbon or rye whiskey is derived from the new charred oak from a lot of articles about the Bourbon or rye whiskey I read. I”m glad you enjoyed it Kinichi…Most recipes for Bourbon are around 75-78% and some might have 80%….corn whiskey MUST have at least 80%, but you’re right, we use barley to convert starches to sugars, so we use 10% barley, and 10% rye….I don’t know of any main line bourbon’s using more than 80% corn, but I do know of some corn whiskies that are using 100% corn, but then they have to use commercial enzymes to convert the starches to sugars. There are also a couple craft distillers using malted rye…I believe Corsair does on one of their recipes. You are absolutely right about the barrels, they contribute to 50% or more of the flavor…if you visit the article here about the Distiller’s Rule Of Thumb, you’ll find a nice article about that. Evan Williams BIB has been a favorite of mine for many years. As a bit of a U.S. history buff, (the Americas run from the far northern reaches of Canada to the southern most point of Peru. For me, there is a difference. ), I very much enjoyed learning a little more about the history of BIB. Thank you. Thank you very much! I will enjoy a lot of Bourbons in Japan! Best Regards! You wrote at the definition of “Corn Whiskey” that “not subjected to any manner to treatment with charred wood (I know this is written in the Code of Federal Regulation)”. What does this mean? I have thought this means corn whiskey must not stored in charred oak barrels. Am I wrong? But you wrote corn whiskey can be stored in the used charred barrel. IW Harper is owned and been re-introduced by Diageo, and they introduced a 4 year old and a 15 year old IW Harper this year. I have a recipe for egg nog that’s been passed down in my family for more than 60 yrs. It specifies Old Bourbon Hollow which is no longer carried in the Virginia ABC stores. Any ideas for a suitable replacement or know where I can purchase it? 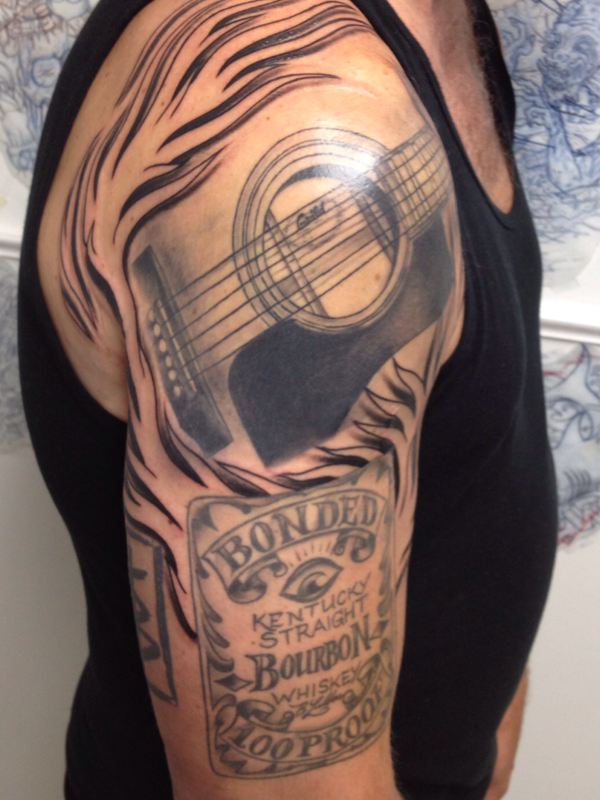 sure….Use Jim Beam Bottled IN Bond..that’s what Old Bourbon Hollow became…or you can use Evan Williams Bottled In Bond. How much would a still sealed bottle of Old Bourbon Hollow be worth? It is bottled in bond and the seal date is 1964. I’m not sure…I always refer people to StaightBourbon.com or to Matthew Landon at Haymarket Whiskey Bar In Louisville, or Jason at Bourbon’s Bistro in Louisville. Can you provide where I can purchase all of the above BIB’s? All of the BIB’s are available at the larger retail stores, or specialty whiskey stores. The Old Fitzgerald 4 year BIB, and Heaven Hill 6 year BIB are Kentucky only, and the JW Dant, TW Samuels are regional brands that are Kentucky and just a few others. Other than that, you should find them at your store. Where can I buy Bottled in bond whiskey in the Port Huron-Detroit area? Most every liquor store will have some Bottled in Bond selections…The larger the store, the more likely they’ll have them all. For the most part, they are not allocated items. Hi there everybody; I'm Bernie Lubbers and I'm known as The Whiskey Professor. I work for Heaven Hill Brands in Bardstown and Louisville, Kentucky. Last year I traveled over 150,000 miles preaching and teaching the world about BOURBON and AMERICAN WHISKEY.